In North Carolina you only have 20 days to claim your exemptions after being served. Service is usually by Sheriff or certified mail. Also be aware that is the Sheriff serves someone in your household that is service on you! Failure to properly file your NC exemptions with the Court may expose your bank accounts, house, car, and other property to seizure. Even your house and car you are still paying on may be sold if you waive your exemptions. What if your car has no equity- why would the creditor want it? To get your attention and convince you to start making monthly payments..
​Don't let this happen to you. What is the creditor looking to take- Bank accounts and large items that can be sold at an auction such as land, cars, boats, and ATV’s. Although your couch would not clear the auction fees, you are best served to list it or else you leave it exposed. Remember there is no official spot to list your bank account on the forms supplied by the Court- don’t leave your bank account exposed as that is often the first place creditors go. Make sure you don’t add more in your bank account that you claim as exempt. File your exemptions in person at the Courthouse and keep a file stamped copy yourself! Serve a copy of your filed exemptions on the creditor. Regular mail is fine. If you have any questions or concerns call a lawyer. 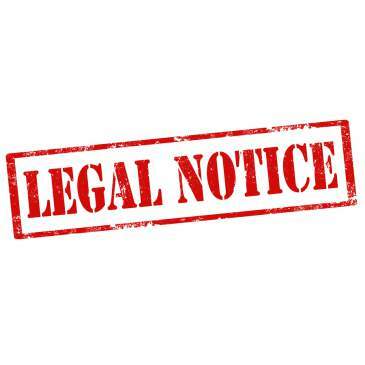 Be aware that if you are served exemptions again the future they must be resubmitted at the Courthouse- your old exemptions no longer apply each time a new execution is started.